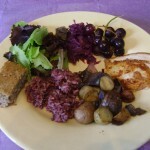 Even though it sounds like it might have been overkill, the whole meal wasn’t overwhelmingly purple. 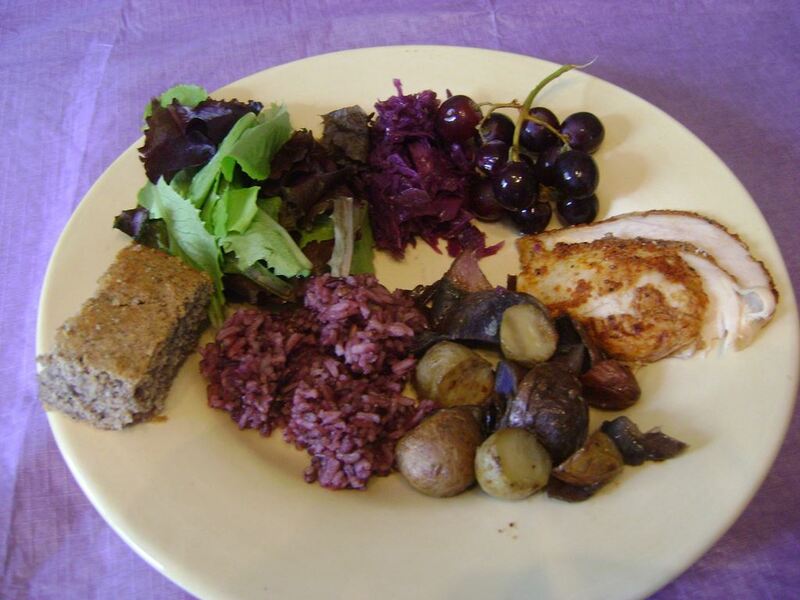 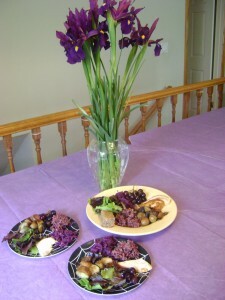 Even better, each of the six kids tried a little something new: Purple potatoes and purple rice were among the favorites. 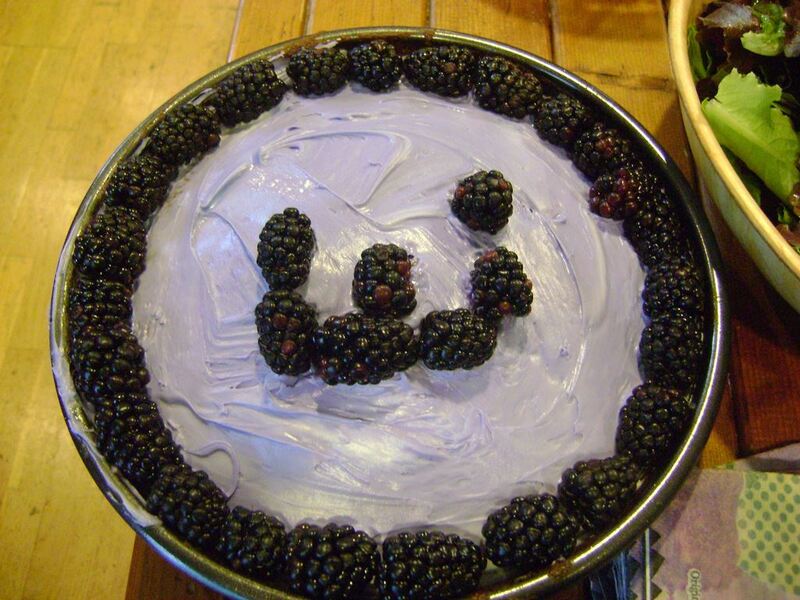 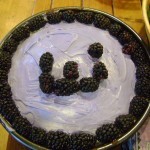 And we had absolutely no complaints about the purple blackberry cake for dessert (decorated here with the Hebrew letter “shin” for Shabbat — our Friday night dinner).